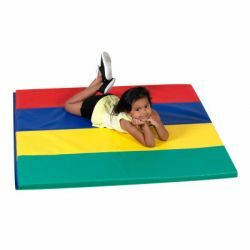 Multi-color mats with sewn 1-foot and 2-foot panels that fold every 2 feet. Hook & loop fasteners at both ends fasten multiple mats together. Features double-folded seams and hems. Heavy duty 14 oz vinyl covers. Light, portable. 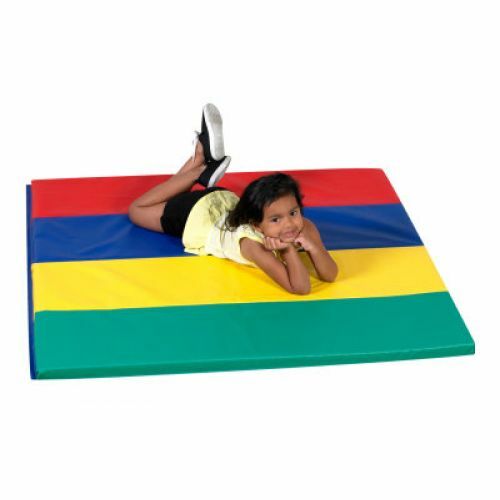 1 1⁄2" thick specially formulated poly foam.